Oh hi there Cupid, or my usual reader or a boyfriend been directed to this page from a usual reader, welcome. For some of you Valentines is a pure waste of time, others like to moan about how it's an corporate money making exercise and some just some like to embrace the lovers holiday. I sit somewhere in between, although we should say how much we mean to each other daily and should make an extra special effort all the time. We don't, of course we don't. We are too busy moaning at each other for drinking all the milk or not putting the bin out, so let's just take a minute or dare I even say a day to appreciate that person you have fallen head over heels in love with. Obviously the honeymoon stage doesn't last forever but it's nice to bring it back every now and again and do that thing; make an effort. Now, onto the gifts - they are never necessary nor needed, but who's going to turn one down? NOT ME. I love Valentines launches, as one of my favourite scents ever is roses, my favourite colour is pink and I'll openly say I like to be treated as Princess. Here is my personal pick of the top 5 V day gifts that I would happily receive (Jack I hope your reading). Number one if Champagne, now obviously you don't have to by Laurent Perrier Rose - it'd be nice but any fizz is always welcome especially if she doesn't usually drink it or it's her drink of choice. Perfume is a tad obvious but again always a lovely present just be creative and don't buy what is on offer at the perfume shop. If you are going to do it do it right, go to her favourite department store and yes ask for gift wrap. Diptyque do beautiful candles and their Valentines launch is no exception, beautifully house in rose glass and sweet, sweet smelling. Chocolate. Obvs. 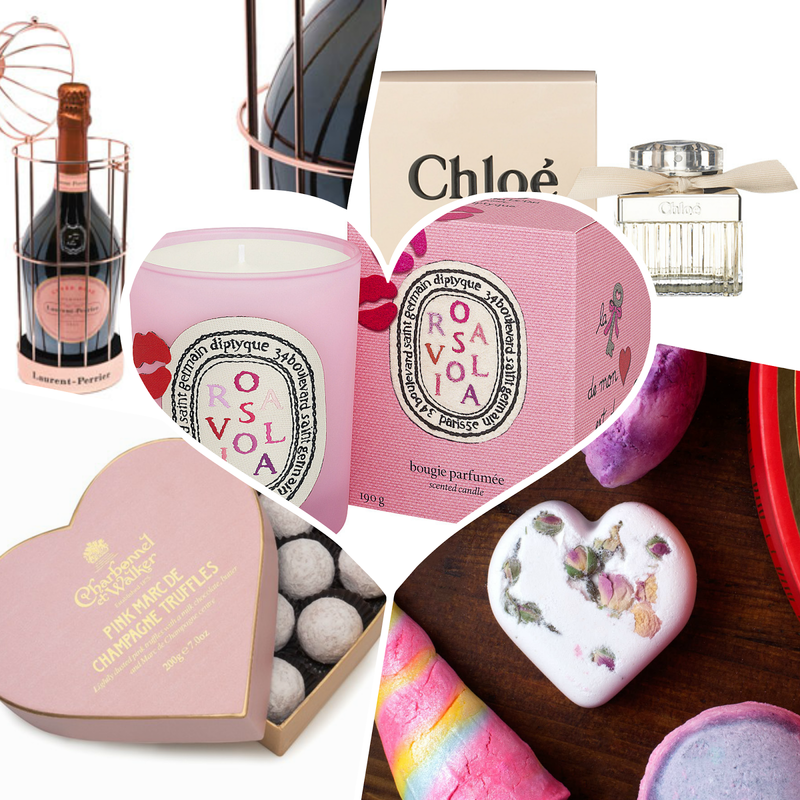 My favourites are the Charbonnel et Walker rose champagne truffles always needed on special occasions. Delicious - boys you can pick these up in John Lewis. Lush always kill it at Valentines gifts. The sweet marshmallow Prince Charming shower cream is my year round favourite. Here is where you can get something special for a snip, the unicorn horn bubble bar is beyond cute and their Lover Lamp bath bomb is gorgeous and all for less than £4 each. The Lots of Love gift set is my pick of the bunch. So there you go and let's be real ladies don't wait for a man to potentially forget, shrug their shoulders and say 'but I love you everyday'. Just treat yourself...your bloody worth it.